Many truckers remember the CB-radio craze in the 1970s and watching the TV show “B.J. and the Bear,” about a young man who traveled the country driving a truck with a pet monkey. This was a time where everyone on the road knew all about CB radios and the unique slang terms that were part of the fad.Truckers had their own “handle” and phrases like “10-4, good buddy” and “Breaker, breaker” as well as “What’s your 20?” entered the American vernacular. During their heyday, truck drivers would push the button on their CB microphone and talk to other drivers whose colorful “handles” were creatively conceived like “Road Roller” and “Rusty Nail.” Drivers would rely on CB radios to get out of a jam, reach out and chat when they were lonely, or sing along to a song about the long white line with another truck driver within radio frequency. Eventually, the CB craze died down. Part of the decline was attributed to the fact that CB radios were usually limited to local communication and were only able to be used in a public venue where just about anyone could listen in to conversations. Privacy on a Citizen Band Radio was not possible, and some drivers either felt that they were being monitored by being on the radio, or that their local channels were just too inundated with several voices, some of whom were not truckers. You may be surprised, however, to know that CBs never went away. Take a drive down any highway in Texas, as an example, and you’ll see trucks sporting the old-fashioned CB antennas. Though truck drivers now use a host of electronics, including smartphones, GPS devices, in-cab tracking and other communications systems, there is still a place for citizens band radios. In fact, as of the most recent poll conducted at the end of 2016, approximately 50 percent of truck drivers still use a CB radio at least some of the time while they are on the road. CB stands for Citizen Band. The CB radio service was created in 1945 by the Federal Communications Commission (FCC), which designated a portion of the radio spectrum to be used by average citizens for the purposes of personal communication. In the 1960’s many American blue collar works found use for the citizen’s broadcast radio on the job. Among the small businesses utilizing them during this period were trucking fleets, allowing drivers to keep in contact while on the road like never before. The radio was a boon to drivers who were quite literally separated by distance and often found themselves miles or states away from one another. For the first time, a driver in Florida could speak to a driver in Alabama without meeting face to face. By the 1970s CB radios were in every semi-trailer on the road and were the main source of communication in the industry. Truckers found CB radios especially helpful as the size of fleets grew and the number of trucks on the road increased as well. Truckers began to use their radio to notify one another of a speed trap, locate a fuel station or a diner with a big enough lot, or simply to shoot the breeze for a quick moment while taking a break in a parking lot. Originally, operating a CB radio required a license from the FCC. However, that requirement has since been discontinued, and now anyone can use a CB radio, as long as they are using FCC-approved equipment. The FCC still governs all the rules and regulations of CB transmission today. Although there are many new options for digital and electronic communication, including cell phones, Global Positioning Systems, and other technology gadgets, CB radios have many advantages that make them a popular choice for many purposes. Cell towers seem to be everywhere…except they’re not. Anyone who takes long-haul a truck driver job knows there are big parts of the country with poor cell phone reception. Even in a populated state like California does not always mean that reception will be perfect. Rural routes can often bring spotty service, and, in the case of emergency, networks can be bombarded with users. Believe it or not, there are advantages for truck drivers on highways across the country using CBs instead of Smartphones. Some of the opposition to CB radios is the poor reception that undeniably exists. Some drivers will complain about the “white nose” that comes across as muffled voices mixed in along with crackling static in return. All CB radios have only four watts of transmission power (as mandatory by the FCC), there are certain features available for these radios that can vastly improve reception of CB frequencies and improve the ability to clearly listen to any channel. One of the most important is RF Gain. Without getting all too technical, an RF Gain feature creates filters so that only a strong CB radio frequency and transmission is received. It helps block out any weak transmissions so that there is less background noise and it can be used to help bring in weak signals and improve the clarity of all CB radio channels. Many younger drivers dismiss the CB radio model as something that 'old school' drivers use. Still, many veterans in the truck driving industry believe there's a place for CBs, especially during inclement weather or when a major accident affects routes. Although operators suggest to turn it off most of the time if you want, they find great value in a CB radio when a situation on the road gets tough. 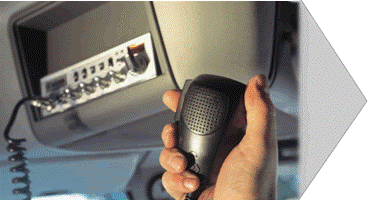 It may be true that long haul drivers no longer rely on CB radios to do everything. But as the old-timers will say, there is no new technology that does exactly what a Citizen Band Radio can do. These experienced road warriors believe that when things go wrong and you’re in a dire situation, a CB radio is priceless. These seasoned drivers say the CB is not a dying tool; it’s just a forgotten tool by many drivers. It can be said that CB radios were a precursor to social media, allowing people to communicate with friends and strangers, argue and share whatever information they cared to pass on. They even were able to broadcast alerts to help find missing persons and help support efforts by law enforcement. But all is not lost even for the tech savvy driver. You see, even in the digital world, Citizen Band Radios have not been left behind. There is room for both the radio and 20th century technology, just as trucking as an institute bridges the gap between conventions that are thoroughly 19th century and 20th century. Today, there are several CB apps available for Smartphones! They are designed to function like an old-fashioned Citizen's Band radio, but with unlimited range. An in-app purchase unlocks broadcasting so you can get in on the fun! Nevertheless, even apps are infallible and require proper service and reception just as CB’s and cell phones do. So laugh all you want at the classic movie flick “Smokey and the Bandit” which helped make Citizen Band Radios so popular.But just like in the movie, CBs often are a first and last line of defense and information for those who make their living from a trucking job. 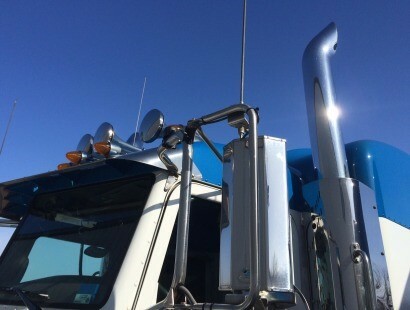 Quite simply, CB radios are an important part of truck driver culture and a beneficial tool on the road for those open to doing things a little old-fashioned.